Injured in a truck accident? 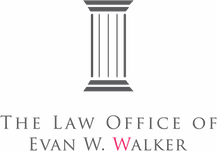 Contact Evan, a San Diego Truck Accident Attorney who represents people injured in truck accidents. Contact Evan, a San Diego Truck Accident Attorney, if you’ve been injured in a truck accident. His office is in La Jolla, and he represents personal injury clients in La Jolla, Bird Rock, Pacific Beach, Mission Beach, Ocean Beach, Point Loma, UTC, and all throughout San Diego County. Evan brings the responsible parties to account so his clients receive full and fair compensation.